GPU Hierarchy: How Does Your Graphics Card Rank? 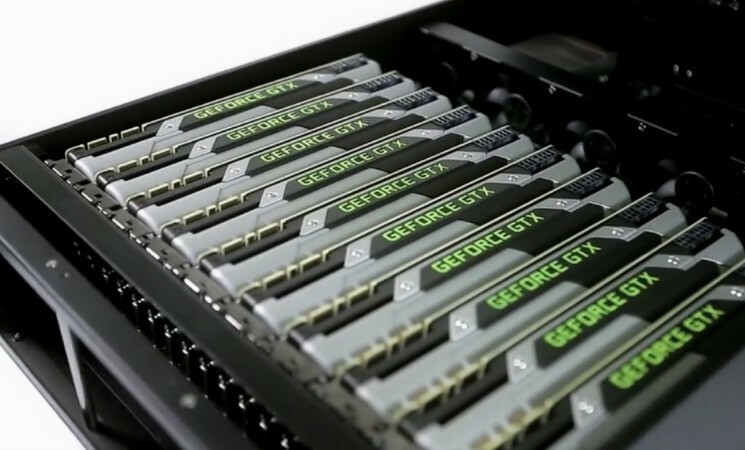 Home Blog Tips & Tricks GPUs GPU Hierarchy: How Does Your Graphics Card Rank? There’s a ton of GPUs on the market right now, but how do they actually stack up against one another? If you want to find out, stick around: we’re tackling GPU Hierarchy today, and we’re going to help you figure out who lands where. Below, we’ve listed every modern GPU on our table, from highest-to-least performing, divided into five distinct tiers of performance. After that, we’ll explain more about individual performance levels in each category and which GPUs you should invest in. Measured in MHz, this number represents the “speed” of the GPU core within the graphics card. These alone don’t determine relative performance, but boosting your core clock speed via overclocking can give you some free performance bonuses. Your dedicated graphics memory, or RAM. In general, more VRAM = higher resolutions and better texture quality. However, while it is measured in GB, the amount is not the only factor to consider. This brings us to the different types of VRAM. The most common modern VRAM standard. Decently fast, shouldn’t bottleneck in most situations. An amped-up version of GDDR5 used by Nvidia for their high-end cards. The fastest solution for VRAM, but also the most expensive by a considerable margin. In massively-simplified terms, the wider the memory bus, the faster the core and VRAM are able to communicate with one another. The HBM2 cards use this to their advantage to greatly increase speed across the board. How is the GPU tier list decided? Raw performance! No trickery, no “technically” arguments of value debates, we’re talking pure performance numbers according to benchmarks from around the web. In this performance category, games should be easily playable in 4K resolutions and VR. 1440P at 144HZ should also be very attainable, though you may need to turn down a few settings for more demanding titles. Despite the fact that the Titan V has a considerable performance advantage over the 1080 Ti (roughly 20%), we don’t actually recommend buying it. The 1080 Ti can be found for $700-800, while the Titan V starts at $3.5K. That’s a very significant jump in price without a corresponding leap in performance. So, unless you’re a megarich Nvidia superfan, just get the 1080 Ti instead. In terms of long-term performance, it should be many years before you encounter any problems with these GPUs. However, you won’t be able to access features like RTX, which are exclusive to the newer RTX series. Performance in this category requires a few compromises, but not many. 4K gaming should be very attainable with either of these GPUs, with VR and lower resolutions being an absolute breeze. While the 1080 and Vega 64 trade blows depending on the game, the truth is there’s not a significant difference in performance between the two. If you’re in the market for a GPU in this range, we recommend simply grabbing whichever one you can find for a cheaper price. These should perform as expected for at least the next four years. This category is essentially entry-level 4K with strong 1440p and VR performance. Once you start climbing higher tiers, the value you’re getting for your money starts becoming very questionable; this is where diminishing returns begins. The story in this category is interesting, though. At the time of the 1070’s launch, Nvidia dominated this category; they were truly uncontested. The Vega 56 released early the next year and outstripped the 1070 in performance-- not by much, but enough for Nvidia to notice. Just a few months later, the 1070 Ti came out and took the crown once more. Interestingly, the 1070 Ti has a lot more in common with the 1080 than its younger brother, the 1070. This becomes obvious when you take a look at the clock speeds: with the 1080’s GDDR5X RAM seemingly being one of the only major factors separating the two cards. These should perform as expected for at least the next four years, but you may need to make some compromises in 4K titles. This is the most hotly-contested price range in graphics ($200-$300), and the number of cards in this category probably gives that away. Performance-wise, you can expect beyond stellar 1080p performance, with strong 1440p and VR performance. 4K isn’t very feasible in this bracket, though, and attempting high-refresh rate gaming above 1080p is also unlikely to go well. The RX 580 and GTX 1060 trade performance across a wide multitude of games, but the 580 ultimately takes a significant lead in gaming overall, especially at 1440p. The 1060’s prices and synthetic benchmarks also trend slightly higher, but ultimately the 580 comes out on top in terms of value and performance here. These should perform as expected for the next 4 years, especially the RX 580. The lower-end cards may start stumbling sooner, though, especially at 1440p. Last but not least is the budget value category. Performance here is pretty much just high-quality 1080p gaming, which is generally viewed as entry level for most gaming. 1440p may be possible in older titles, but generally isn’t recommended, and VR is strongly recommended against. That being said, this should be fine for most people who are still using 1080p TVs and monitors. In terms of the cards, there’s not really an interesting story here. The 1050 was winning until the 1050 Ti came out, and now the 1050 Ti is winning. That pretty much sums it up. However, we don’t recommend buying cards beneath this tier of performance. Not only are you unlikely to get satisfactory performance, it’ll simply be a very poor value for the money. At least save up for a 1050 Ti if you’re going to buy the cheapest GPU possible. These should serve as fine 1080p GPUs for the foreseeable future, but the 1050 and 560 will start requiring more settings adjustments and other compromises within the next two years. Whatever you have the money for, honestly. Just be sure that you have a monitor that can push the resolution and FPS you’re paying for and that you’re not being bottlenecked by the rest of your hardware, or you might just be wasting your money. We hope this GPU Hierarchy breakdown helped you understand the current status of the GPU market. Whether you just wanted to see where your existing GPU ranked or what range you should be shopping in for a new one, we hope this article helped. Feel free to comment below if you have any questions- until then, peace!